So to those of you who think traditional European luxury GTs are moving out of reach, look again. Sure, if you constrain yourself to the Italians, E9 BMWs, or Porsche 911s, you might as well give up. But if you broaden your horizons just a little, you’ll find an affordable V8 powered hardtop 2-seater with two occasional rear seats and a usable trunk – namely, the one-generation-only coupe version of the Mercedes SL, the C107. Often dismissed for their somewhat clunky styling, they look much less clunky with the home-market slim bumpers; that said, you’ll find that when you’re inside the car, blowing down the interstate, you won’t see those. 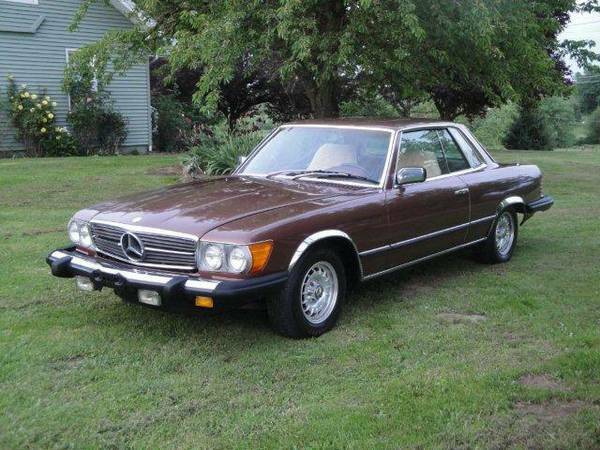 Check out this 1979 Mercedes 450 SLC for sale for $3950 in Canby, OR. If you’re going to do 1970s, you might as well go all the way with an Autumn Bronze paint job and Fawn interior. That’s metallic brown on tan to the rest of us, with a color-coordinated dashboard. The car looks to be in great shape, and though the paint is said to be fair, it seems to shine up nicely – perhaps a cut and polish will help restore things to where they should be. 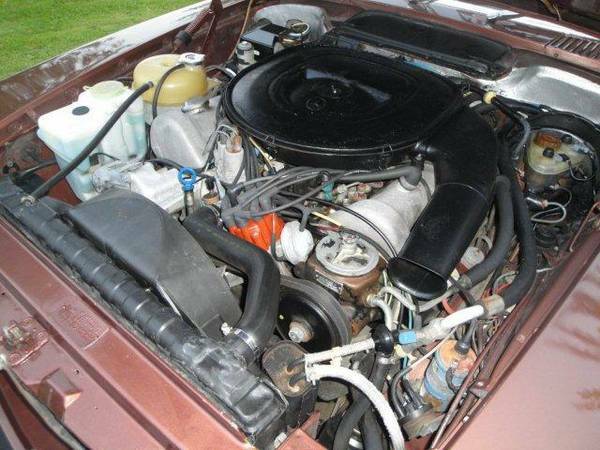 The seller provides a list of all the standard amenities found on a car like this, but doesn’t give much indication of the mechanical condition other than “it runs and drives great”. If people would sell cars disguised by a car cover, then selling a car with covered seats would make sense. But they don’t, and the better listings would at least give you a peek under the seat covers since replacing leather is a costly proposition. 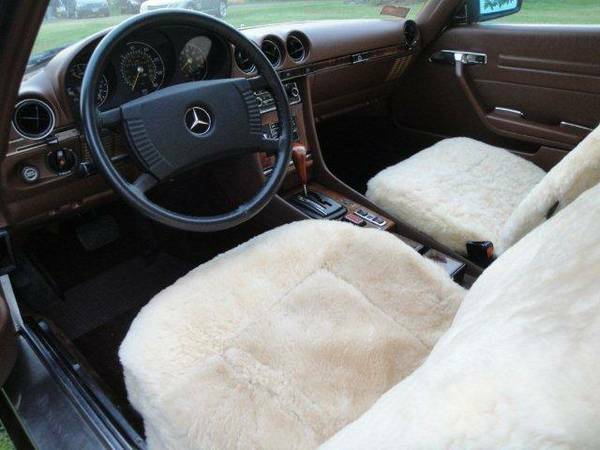 Those sheepskins seem fairly recent, as they don’t look to be made for seats with separate headrests, and maybe even show gaps for seat-mounted airbags – perhaps the seller installed them to prevent further deterioration. The rest of the interior looks to be good, but don’t be surprised if the dash wood varnish is cracking. That engine compartment looks pretty tidy, so at least if you must work on it, you won’t get too filthy. Surface corrosion on some of the aluminum bits does suggest protracted storage in a damp/salty area, though the body is said to be rust-free. It’s nice to see a not-yellowed washer fluid tank (how much fluid did Mercedes think people needed??) and a decent coolant overflow tank. There does seem to be a fair amount of brown paint on the data plate and hood latch – is there a story behind that? So what would you do with this? Pack up your young family for a long weekend road trip? Drive across the US and sell on the other side? This entry was posted on June 3, 2015 at 5:00 am and is filed under Feature. You can follow any responses to this entry through the RSS 2.0 feed. You can leave a response, or trackback from your own site.